Interested in learning more about wine pairing while visiting some of the best restaurants in Portland? Build your wine-tasting knowledge and skills with Wine Wise’s Wine and Food Walks! Wine Wise is a wine education events company out of Portland, ME that provides not just wine-tasting information but wine-tasting adventures in Portland, the Kennebunks, Camden, Ogunquit, and other locals within and without Maine. Founded by sommelier Erica Archer, Wine Wise’s Wine and Food Walks take you on a journey of the senses via visits to vibrant venues and through discussion about what makes wines unique and representative of their region. Paired with delicious foods in a fun and interactive environment, Wine Wise’s Wine and Food Walks become more than your average tasting, more than a simple education or a distraction, transcending the typical to become something sublime and worth remembering. Wine Wise Wine and Food Walks provide an unforgettable experience for you and your friends, sending you away with a better understanding of wine, how to pair it with food, and a better awareness not only of what you smell and taste but how best to describe it. Very highly rated as a Portland experience, we here at Brewster House Bed & Breakfast have had a number of guests attend Wine Wise’s Wine and Food Walks and have it on good authority that they are informative, fun, and delicious adventures! Wine Wise not only hosts Wine and Food Walks but also Wine Sails and Harbor Cruises, where world class wines and cheeses are paired with scenic views of the iconic Maine coastline’s lighthouses and islands. Imagine enjoying and learning about a wine paired meal – all from the deck of an elegant ship sailing serenely up the Maine coast! Wine Wise is also willing to come to you, creating custom wine events for your private gathering right here at Brewster House Bed & Breakfast in Freeport, ME – or anywhere else you might choose. 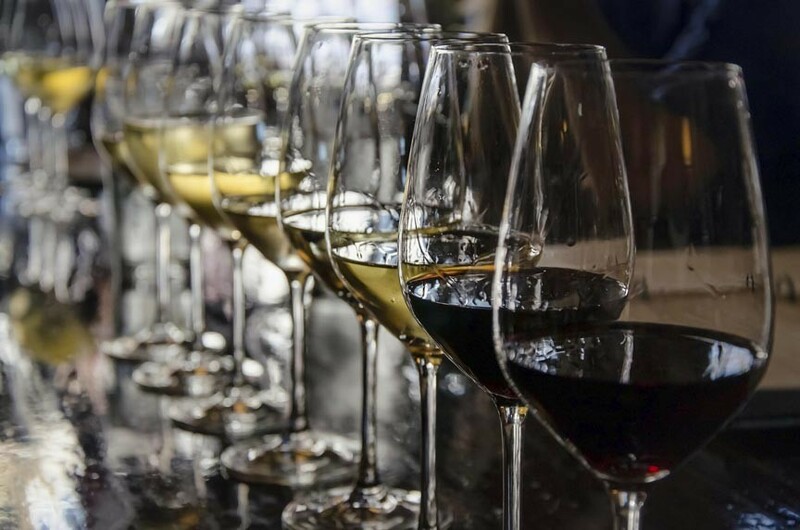 Wine Wise hosts a number of walks and pairing events year ’round, focusing not only on wines but also scotches, whiskeys, champagnes, and other fine beverages. Brewster House Bed & Breakfast may only be a quarter of an hour’s drive away from Portland in Freeport, Me but seems world’s away, offering a conveniently located respite from Portland’s endless hustle and bustle. Allow our luxurious amenities, personal service, and picturesque location to soothe and relax you during your Maine Coast getaway.